18 countries are part of the GECC: EUROPEAN GROUP OF CURSILLOS IN CHRISTIANITY International Group (formerly called GET: European Working Group). Other countries - including those in Africa - are part of the territory covered by the GECC: Belgium, Benin, Burkina Faso, Equatorial Guinea, France, South Africa, Togo. In SPAIN, the CM spread from the island of Majorca to the mainland in 1953. A team from Majorca, with Eduardo Bonnin as Rector and P. Juan Capó as Spiritual Advisor, conducted a first Cursillo in Valencia. Today in SPAIN, the Cursillo Movement has Diocesan Secretariats in 65 of its 70 dioceses. 250 weekends are held annualy, a third of them being co-ed (mixed). 200 priests are part of the Cursillo Movement and there are 78 Schools of leaders bringing together 2,300 members every week. PORTUGAL was the first European country to host the CM outside of Spain and to implant it in its own language and culture. The first Cursillo took place at Fatima in 1960. (Cfr. Boletín Grupo Europeo de Trabajo, Nº 5, Pag.3). Today Portugal has cursillistas in 21 dioceses and about 80 cursillo weekends are given every year. The first German-language Cursillo was held in AUSTRIA in Vienna in 1960. Since then, the CM is present in 8 of 9 dioceses in the country and about 100,000 people have experienced the weekend. In ITALY, the Cursillo Movement has reached 87 dioceses since its foundation in 1963. Emphasis is being given to the Pre- and Post-Cursillo. Since 1981, Eduardo Bonnin has often visited the CM of Italy, regularly attending its national Ultreyas. The Cursillo Movement was introduced in GERMANY in 1961 by cursillistas coming from Vienna, Austria. It is active in 27 dioceses, including 4 in the East. It has 22 Schools of Leaders which have become their priority. Germany has been the seat of the World Organization of the Cursillo Movement from 1998 to 2001. Germany introduced the Cursillo Movement in SÜDTIROL (ALTO ADIGE - autonomous Province in Northern Italy) in 1969. In ENGLAND, the Cursillo was brought by the Portuguese in 1970. They have 7 Diocesan Secretariats and 3 Schools of leaders but there are cursillistas in 23 dioceses. Austria took the Cursillo Movement to CROACIA, en Samobor, Hrvatska, in 1974. There is also a Catholic Cursillo Movement in Switzerland for the German speaking. It started in 1994 in Einsiedeln (near Zurich) with the support of cursillistas from the diocese of Freiburg, Germany. Since the inception of the Cursillo Movement in GIBRALTAR, about thirty years ago, 3,000 of the 21,000 Catholics of the diocese (Gibraltar has only one diocese) have experienced a cursillo weekend. 4 weekends are held every year and many young adults in the twenties do attend. Gibraltar was the seat of the International group GET (European Working Group) from 2006 to 2010. In 2009, a team from Gibraltar and Ireland founded the CM in Durban, South Africa. Cursillo was introduced In IRELAND with the help of the United States. Today, it is present in 7 dioceses. There are 6 Schools of Leaders whose primary concern is the study of the original charism of the Cursillo Movement. Austria took the Cursillo Movement to HUNGARY in 1989. The following year, in 1990, Hungary took the Cursillo Movement to ROMANIA. The Cursillo movement was introduced to CZECH REPUBLIC and SLOVAKIA from Germany. The first Cursillo weekends took place in 1991 in the Archdiocese of Olomouc. Cursillo spread in the Dioceses of Olomouc, Brno, Hradec Kralove, Ostrava-Opava and Prague. More than 1000 Cursillistas have experienced the three-day Cursillo weekend during the existence of Czech Cursillo. 1 1982 ± 35 ? 1 1993 ± 25 ? 1 1998 ± 15 ? (**) Main sources: the National Secretariats websites (cf. 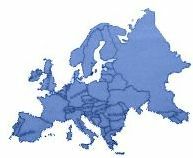 Cursillo Worldwide Directory - Catholic Cursillos in Europe) + APG Report 2006 "Bringing Christ to the peoples of Europe"